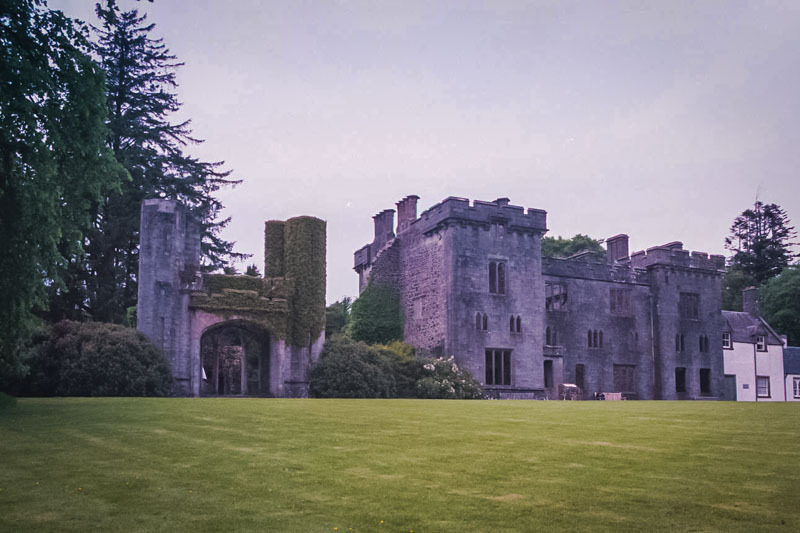 Located on the Isle of Skye, Armadale Castle is really a mansion, not a true fortress. 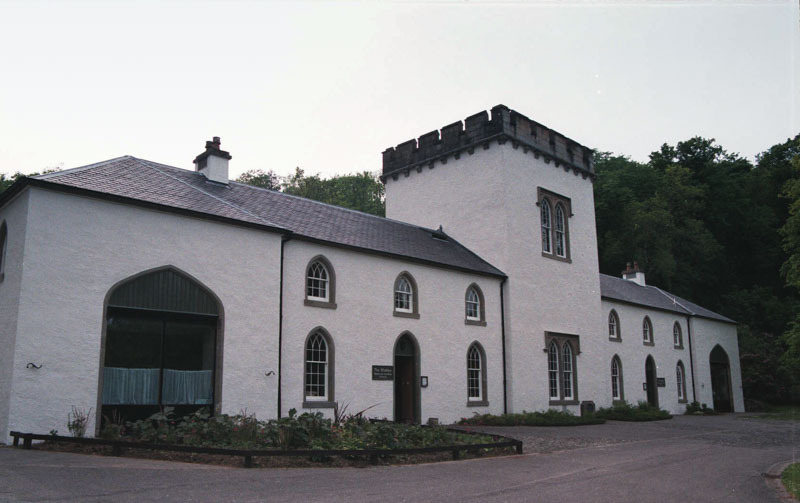 The original stone tower is in ruins, but outbuildings house the Clan Donald Centre amid large and very attractive grounds. The climate here on Skye is (strangely) almost tropical, and there are flowers on the grounds that would seem more at home in the rainforest than Scotland! The newly restored stable houses a shop and restaurant, and is still new enough that the blueprints and plans for the restoration are posted. There was a smaller house built here in about 1790, to be replaced by the castle built by James Graham in 1815 for Lord MacDonald of Sleat. It is a baronial-style mansion, built to be showy. The true tower of Armadale is empty and looks to be burnt (sometime after 1855). 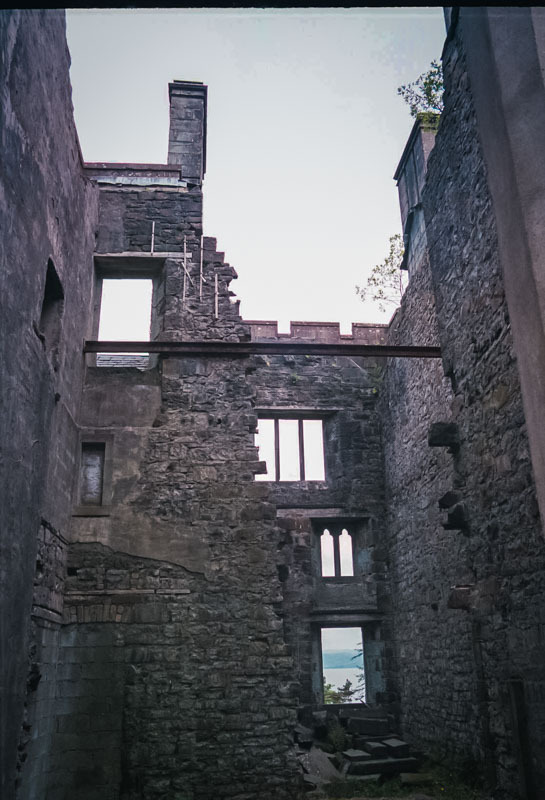 The folly that is build nearby is constructed of stone and roof slates taken from the towerhouse as it collapsed after 1925. 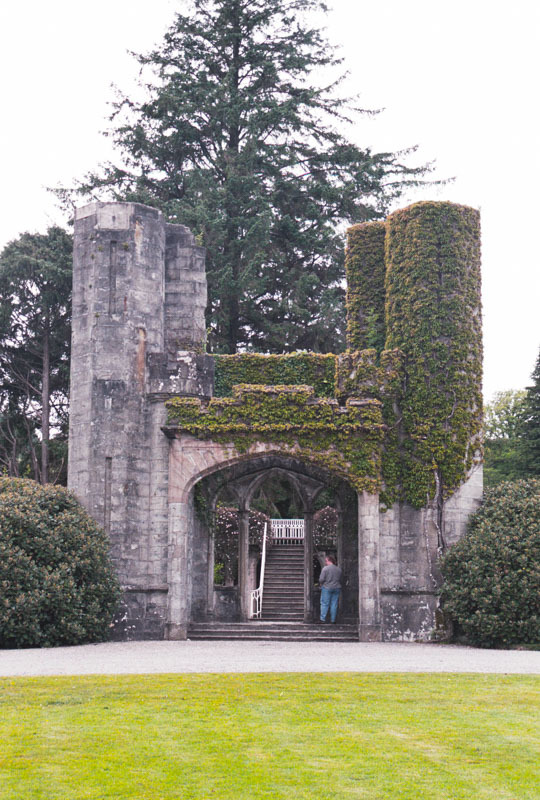 Many of the castle sites have a folly built in the 18th or 19th century that is designed to look like some romantic reconstruction of a castle. The entire site of Hume castle, for example, is an odd looking folly built in the last century. The grounds are the real attraction at Armadale, and the enormous variety of trees and tropical plants is amazing. Despite the northern latitude, the Isle of Skye has a warm, almost tropical rain-forest climate. It’s really weird, especially after spending a week in the bleak and windy highlands, where little grows but heather and scrub. That’s me, quite tiny, near a huge evergreen tree by the castle.